Yup, his first skill is able to take ally/enemy first skill as his skill. His second skill is take ally/enemy second skill. Wow, imagine Meat Hook combined with Chronosphere, cool!! Curious on how to use this hero? Read on! To be able to use him, you must play with the Dota 6.57b AIplus Revision 2 map (Revision 1 is not included him yet). And then, in the beginning of the game, type -fun followed by -tryhero. You will have Incohatus the Formless as your hero instantly. And then, have fun! :D I'm sure you didn't need a guide for a hero like him :) Enjoy playing Incohatus the Formless! 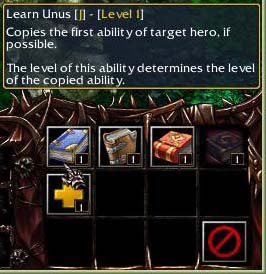 Update: Check the Incohatus the Formless Guide too see the skill you can copy and can't. this is not the official hero rite? so cool i copied the 1sr skill of enchatress the last skill by demon witch and second skill of magina lol so fun!!!! i triggered a bug, but not sure how, but i copied lich's ulti and can't reset it. Too bad you can't choose primary attribute for the hero and you're stuck with intelligence only. Removing individual abilities would be neat, instead of having to pick all 4 again, when you just want to swap 1 of them. I tried copying TA's second ability, only to get a permanent "Move +2" ability, which gave +20% movespeed. Also, if you want imbalance, copy Aftershock and then switch between treads modes constantly. Or, if that gets fixed, use an orb effect instead, such as Viper's. Unfortunately, many abilities are just broken. Although, the idea's pretty cool. You should be able to steal any skills, like if you want 3 passive skills, which are usually 3rd skill for most heroes, you should be able to have 3 3rd skills and an ultimate. It could be made by having all the stealing abilities and the skill resetting one use the "spellbook" ability, so they take up just one button or use chat commands to select which spells you want to steal, if doing it with only skills is too much work. what will happen if i steal invoker skill ? Anyway, @alief maybe its better to put the mini-guide for formless here or link it here, bcoz in the guide you can read the complete lists of skill that formless can and can't be coppied. what do you think??? Very cool the hero, the only problem is the time of reset, 30 seconds is too little, the hero gets very stolen! 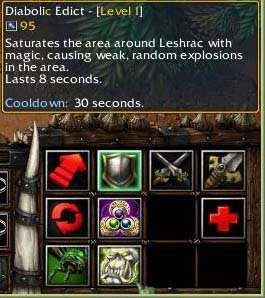 Agreed, 30 seconds is too low, as it refreshes the cooldowns as well. Imagine getting a refresher on him: Ult -> reset -> Ult -> refresh -> Ult -> reset -> Ult. Cast 4 infernals at once, and 5 once the 'reset' cools down. some passive skill can't be copied..
i pwned viper with his skills except the 3rd skill (corrosive skin)..
Yup, it's cool & great hero man. Its a fun hero indeed,but unfortunately its too imbalanced to be actually put in the game.Too bad:|.